So there’s this uncle of mine – all of 75 years, single and retired – who spends most of his waking time visiting places. Every morning, he wakes up, gets dressed (he wears only whites – a bit like Obama there – no decision fatigue, you see), takes the first bus that comes his way, and sets off to wherever that bus would take him. No; I exaggerate. He occasionally chooses the second bus too. While he doesn’t care much for the potential dangers that his adventures may expose him to, his sisters (my aunts and my mother) are a worried bunch until he gets back. They can put CIA to shame when it comes to keeping tab of the man in whites – their use of informers and the latest communication gadgets at their disposal (Nokia 105/ iBall Aasaan 2 White or equivalent) are worth a chapter in ‘Clandestine Service Trainee’ training manual. Though my mother keeps nagging him about his journeys and advises him to spend the rest of his retired life safely planted in an easy chair (so she could gulp down her heart that had found its way to her mouth, thanks to my uncle’s excursions), I secretly admire the way he lives his life, traveling and meeting people. Having been softened up by years of comfortable life, I longed to do a very earthy, basic, ‘rugged’ (and possibly dirty) trip using only my two feet and basic public transport. In other words, I wanted to be my uncle for a day. 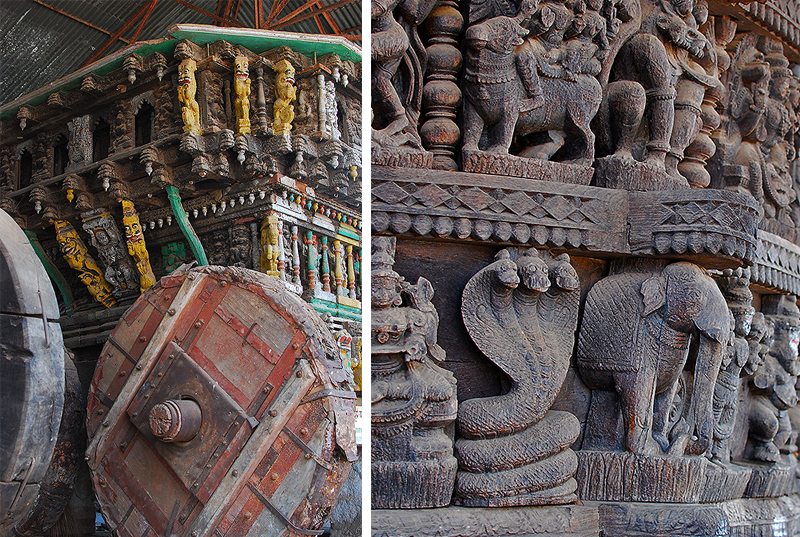 I decided I would kick off a series of such rugged trips on a religious note, with one to Dharmasthala. Dharmasthala, located about 75 kms (about 2.5 – 3 hours) away from Mangalore (where I live), is an Indian temple town on the banks of the Nethravathi River in the Belthangadi taluk of the Dakshina Kannada district in Karnataka (That line, courtesy Wikipedia). 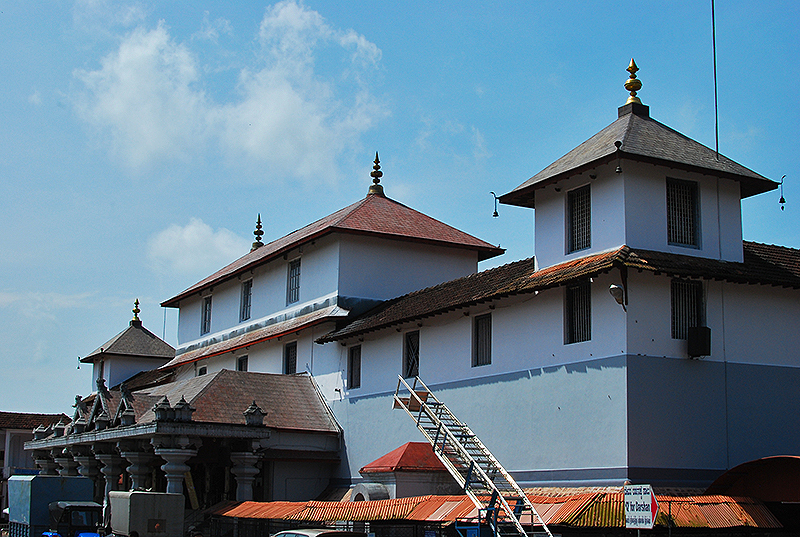 If you are into temples, and ever come to this part of the world, Dharmasthala is a must-visit temple; the others being Kukke Subramanya, Udupi, Murudeshwar, Kollur, Sringeri and Hornadu. Getting to Dharmasthala from Mangalore turned out to be a breeze – I just had to take one of the many frequent KSRTC Express buses. 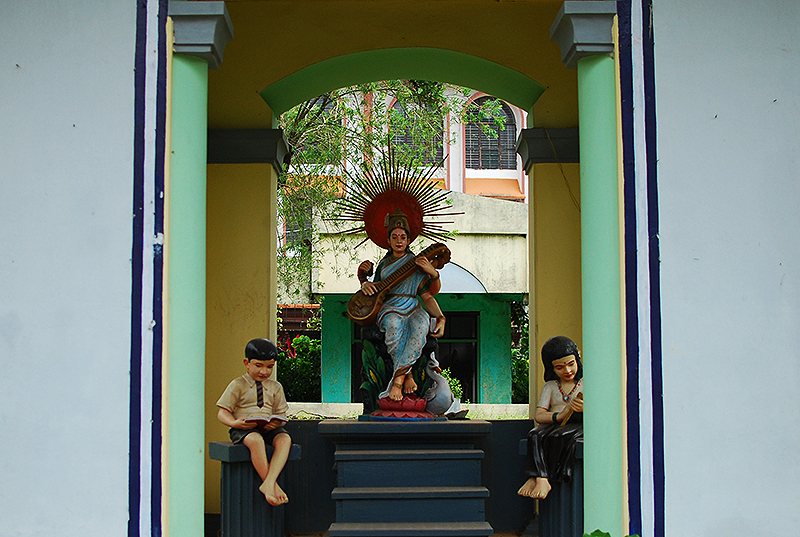 I set out early last Friday, crossed the fish market to get to the KSRTC bus stand. I got a bus almost immediately, and it was mostly empty, with only about 6 – 7 bored looking fellow passengers on board. I got a window seat (which actually gave me a high – the child in me is still alive – yay!) and settled down with a content smile. The ticket to Dharmasthala cost me Rs 64, and the ride was uneventful, except for some fun provided by a fidgety Malayalee guy who kept asking ‘Are we at Dharmasthala yet?’ every time the bus pulled into a town bus stand. I dozed off for a while, and woke up when we were nearly there. I looked back and that fidgety guy was nowhere to be seen. 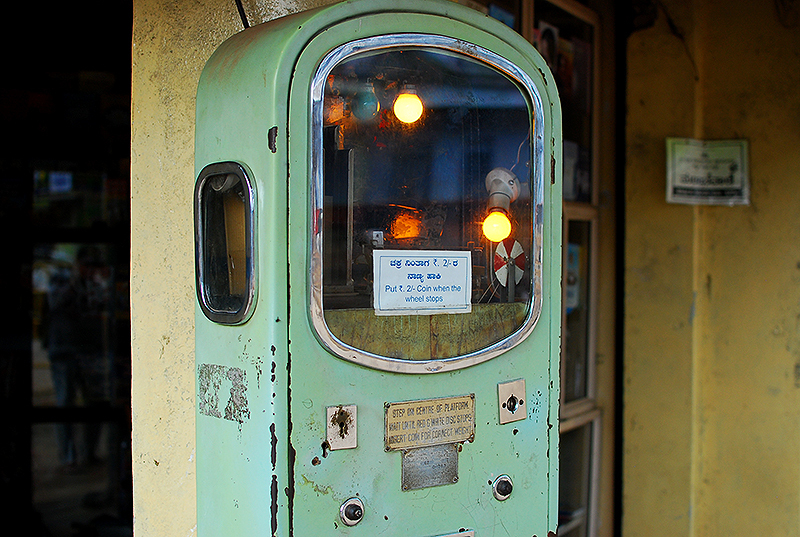 The bus conductor informed me that he had got down at Ujjire, about 10-12 kms from Dharmasthala. 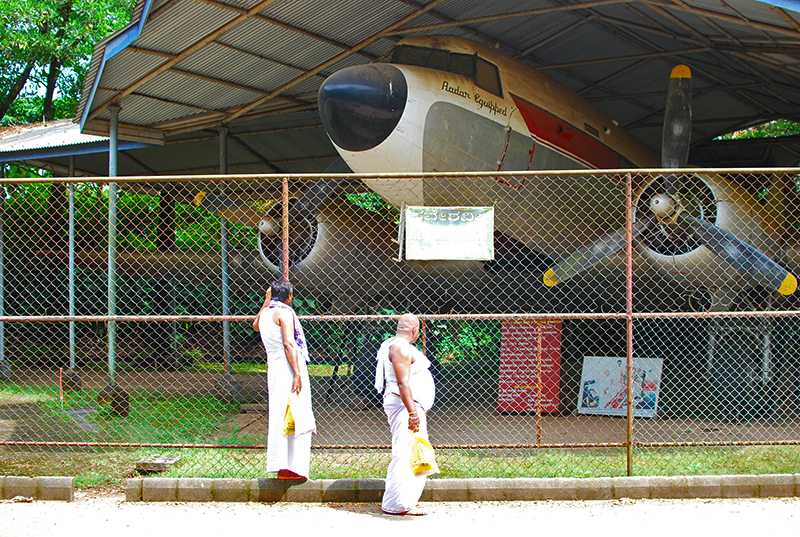 ‘Well, he sure’s going to miss lunch at Dharmasthala temple’ – I thought to myself. 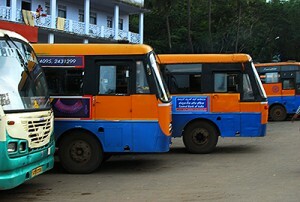 The KSRTC buses stop right in front of the temple premises – and is very convenient for devotees. As soon as I got down, I got into one of the small, clean looking tea stalls for a tea to shake off my lethargy. 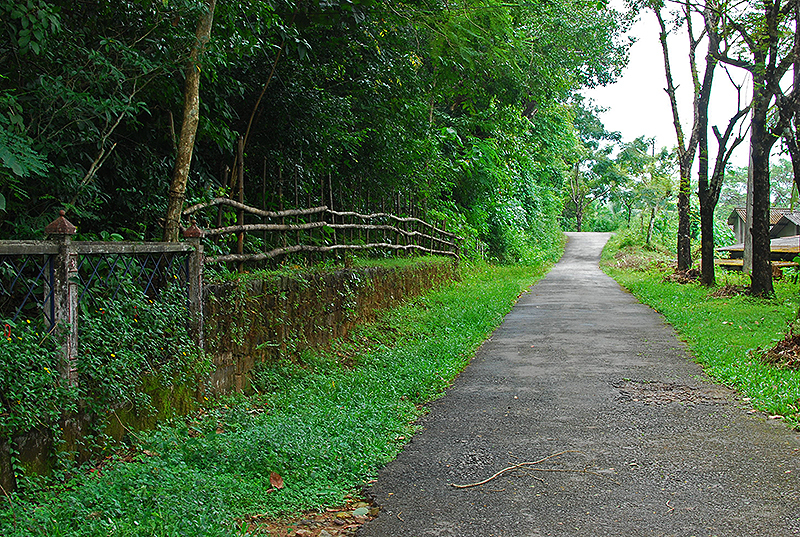 The walkway to the temple has an old, long, multistoried rest houses built for the pilgrims on the right and a line of shops to the left. Since the instructions said I couldn’t carry my camera inside the temple, I left my camera and bag at the luggage room nearby and entered the temple. Since the inner sanctum was closed from 11 – 12 due to pujas, I had to wait in a Q. After a while, we were let in, and I had enough time to see the deity and say my prayers. The prasada (for which I had paid Rs 100) was a bag of goodies that included sweetened puffed rice, a sweet powder, raisins, and some appams. I munched on an appam, and made my way to the dining hall. 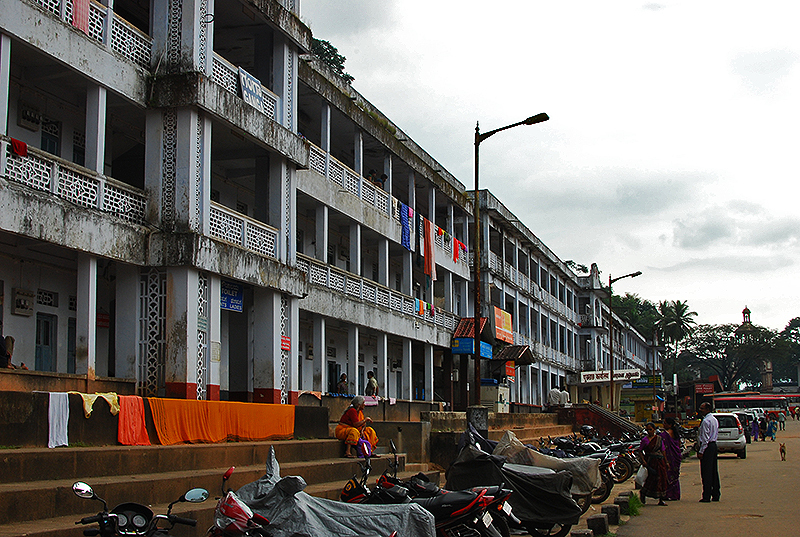 Dharmasthala offers free food and subsidized shelter for pilgrims. The dining area, named Annapoorna, is huge, and generally filled with pilgrims. One has to sit on the floor for the lunch, but they have also set aside tables for people who are unable to squat. The meal consisted of rice, rasam, sambar and a side dish – all served hot, topped off with a sweet for dessert. I found the food extremely delicious, and wiped my plate clean before walking out a satisfied person. As some of my friends would say – ‘Brahmin khush hua’ (translating to ‘Brahmin is happy!’) – a phrase we say after a satisfying meal. 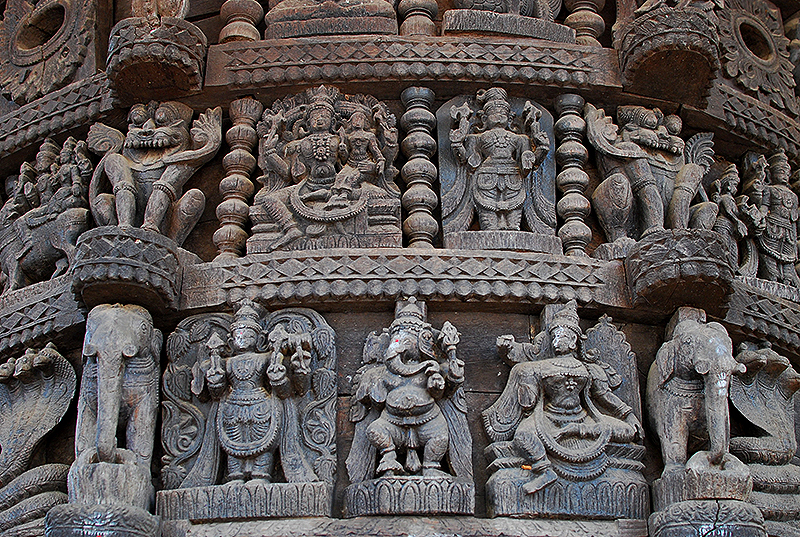 It is indeed commendable that most big temples (in Karnataka?) provide free food to millions of people. 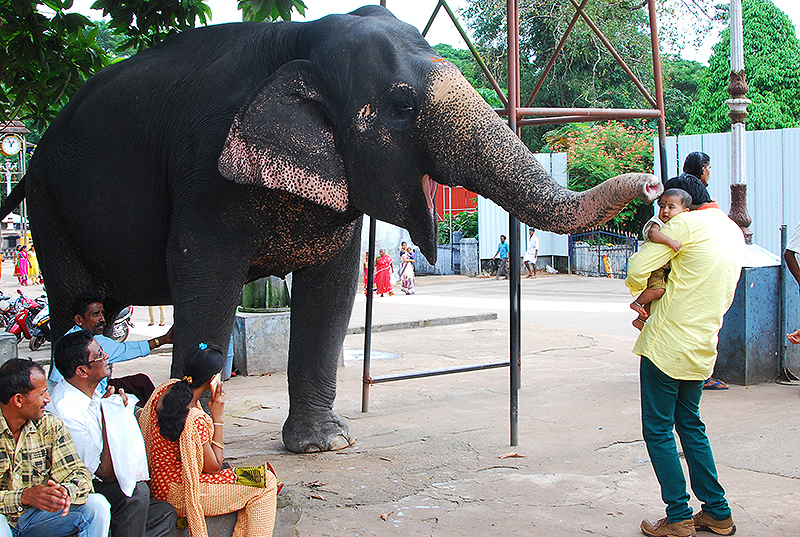 Once outside, I collected my bag (no charge for storing bag, but Rs 2 for keeping my worn out flip flops safe J), and went over to a shaded area where people were crowding around the temple elephant. Give her (the elephant. It’s a she) coins, and she would bless you by placing her trunk on your head. 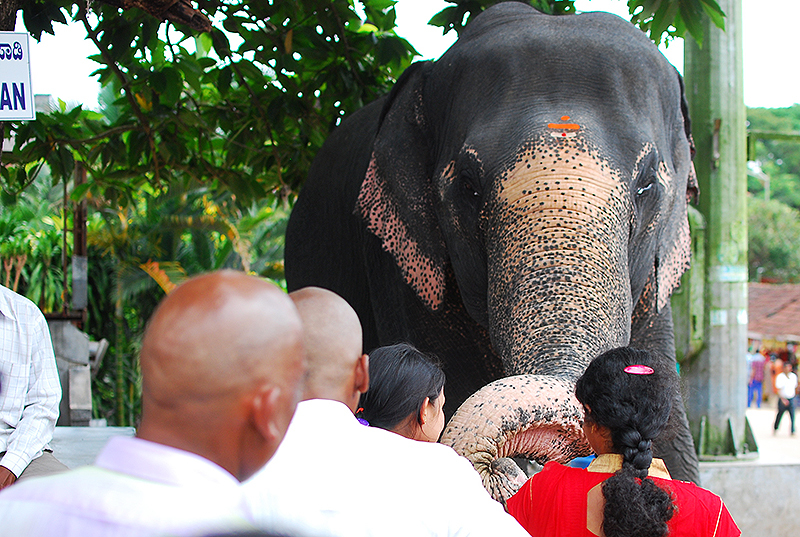 Some devotes offered bananas and got extra blessings, while I stayed a trunk’s length away from her. 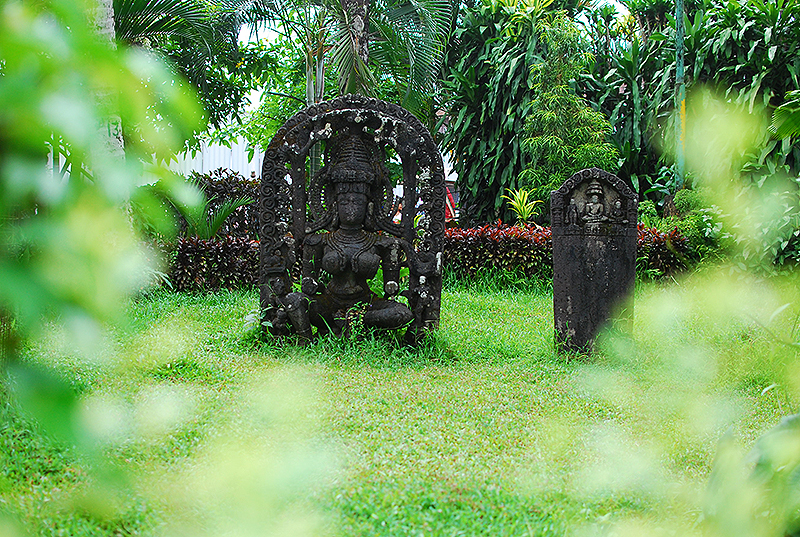 Next to the temple is a park, which is well maintained. 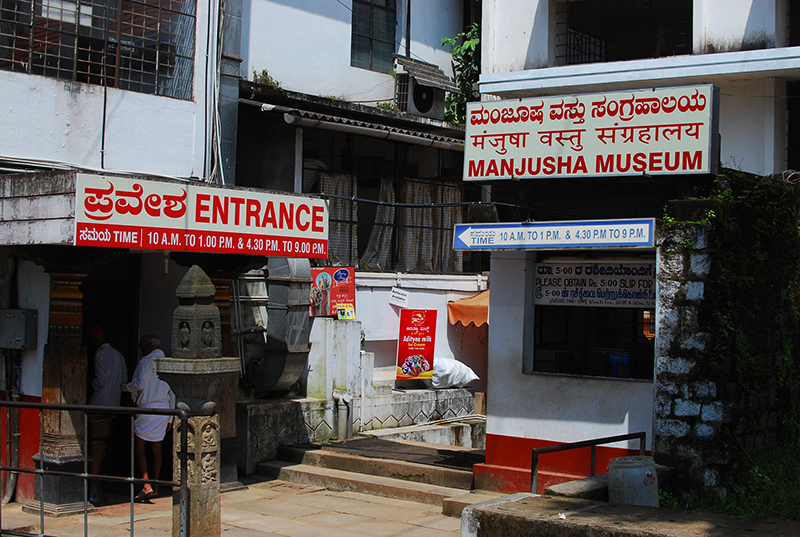 I clicked a few pictures there, and walked over to Manjusha museum. The way it looked from outside (too small/ dingy), I did not have high expectations. Entry charge was Rs 5, and to my surprise the narrow entrance way opens into a large hall, at least 75 – 100 meters in length, filled with exciting old stuff. There’s enough material in there to spend an hour, if you are a history buff. 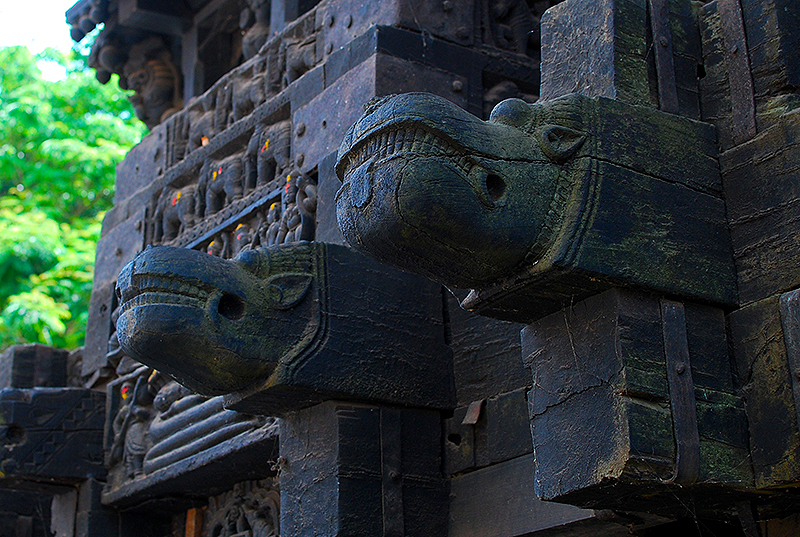 From paintings, idols, cameras, coins, weapons to personal items used by kings – like ivory brushes, hair dryers, monocles, pens – the museum takes you back in time, and is worth every rupee (and more) you paid to enter. The building itself looked very old, and dangerously damp in places, and I wonder if many of these articles would last for much longer. No, not a museum piece. He’s a visitor. 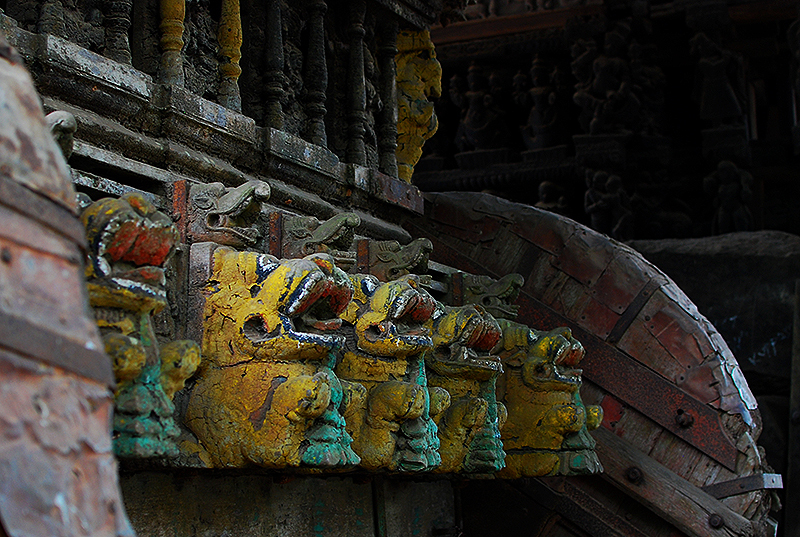 Right opposite the museum are some old chariots (typically used in temple festivals) with intricate carvings. From there, I moved on to the vintage car museum. On the way, my eyes fell upon a couple of discarded aero planes protected by fences. The car museum is worth a visit too, and again, I wasn’t allowed to take my camera inside. Along the way were more guest houses built for devotees. The road to nowhere. So I din’t take that. I wound up my day trip with another coffee, and boarded a bus back to Mangalore. The first of my ‘rugged travels’ was done, and I’d become a fan of such trips. I am now planning a ‘Goa on a shoestring budget’ trip around end of October, early November. More on that later.